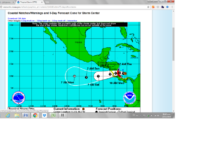 Granada is only 45 kilometres from Managua, making it a quick trip. Getting to Granada is quite easy and should take you under and hour, considering the traffic of getting through Managua. Most of the hotels in Granada can arrange for transfers from the August C Sandino International Airport in Managua. Alternatively, any taxi at the airport will take you there for a reasonable fee of approximately $40 US. Paxeos, a local tour operator transportation company offers shuttle service from Managua’s airport to Granada and back at very reasonable prices in air conditioned vehicles. 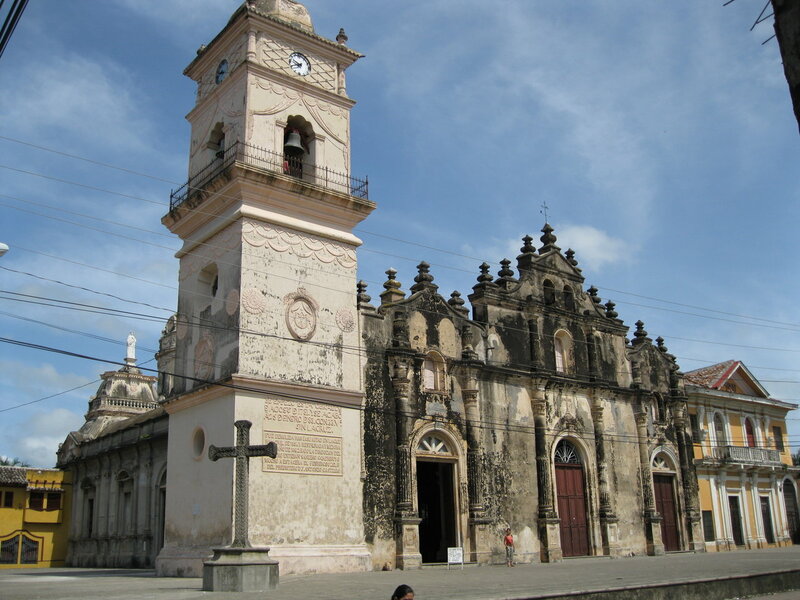 Granada is the shining star of Nica tourism. There are many different Restaurants in Granada, some of them quite sophisticated. The same can be said for things to do in Granada. There are many tour operators offering services in the city. There is really a lot to see, do and eat in Granada! Francisco Hernandez de Cordoba founded Granada in 1524. It is one of the oldest colonial cities in the continent. 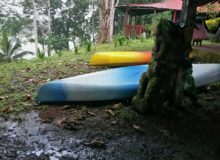 It is on the shores of Lake Cocibolca, also known as Lake Nicaragua. Granada is an important city and one of the bright stars of the country as a tourist destination. Its Moorish architecture, the blessed geographic location and the hospitality of its people make of it a must be visited city. Granada is built in the typical Spanish colonial style. It has a large central park with a cathedral on its eastern end. The city has square grid that is easy to get around in. Although the city is almost 500 years ago, there are not very many buildings that are that old. The reason for this is that Granada was burnt down and ransacked many times in the past. Several times by buccaneers that navigated from the Caribbean up the San Juan River, into Lake Nicaragua and across the lake to Granada. 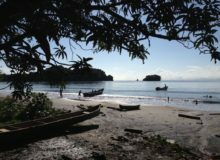 Despite the fact that Granada is very close to the Pacific Coast, historically it has actually functioned as a port with access to the Caribbean! 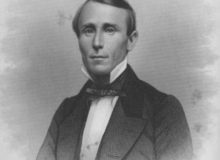 American Filibuster William Walker also had the city destroyed before abandoning it when chased out of Nicaragua by the local troops. During colonial and early republican days, Granada played an important role in Nicaragua’s history. Granada was the commercial hub that kept the province in touch with the Caribbean and with Spain. It was also the center of liberal thinkers in the country. This usually caused ideological friction with the nearby city of Leon, whose leaders were much more conservative. 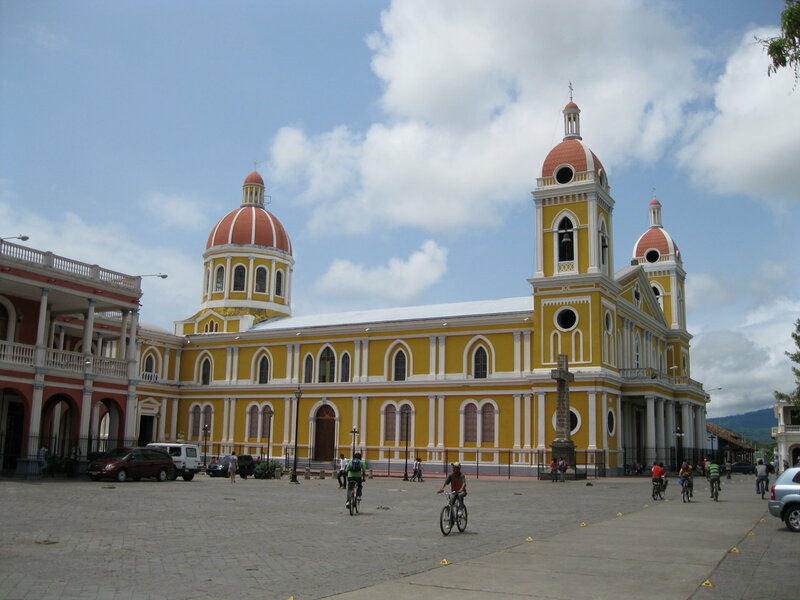 Leon was officially the capital of the province and headquarters of the Spanish colonial authority. This rivalry had a long term effect that continuously sparked wars; setting off sporadic changes of the government seat between Leon and Granada that continued until an agreement was reached and the capital of Nicaragua was set in Managua, a city located about halfway between the rival cities. Today Granada is the capital of the department of Granada, has a population of approximately 120,000 inhabitants and is very well connected with the rest of the country via a fine 4 lane highway to Managua as well as towards the southern Nicaragua border with Costa Rica. The Nicaraguan Government has made an effort to restore the city to its original splendour, and the down town area is truly a pleasure to see. The Cathedral is the most outstanding buildings in the city, overlooking Colon Park, and the Independence Plaza, both of which are adjacent and represent the very heart of the city. The Cathedral dates from 1880, and was built after William Walker had the old one bombed and burnt before leaving the city in 1856. Granada is very much a walking city. If you are visiting it, park your car, and walk around the central park, the La Calzada Boulevard and the elegant Independence Plaza. 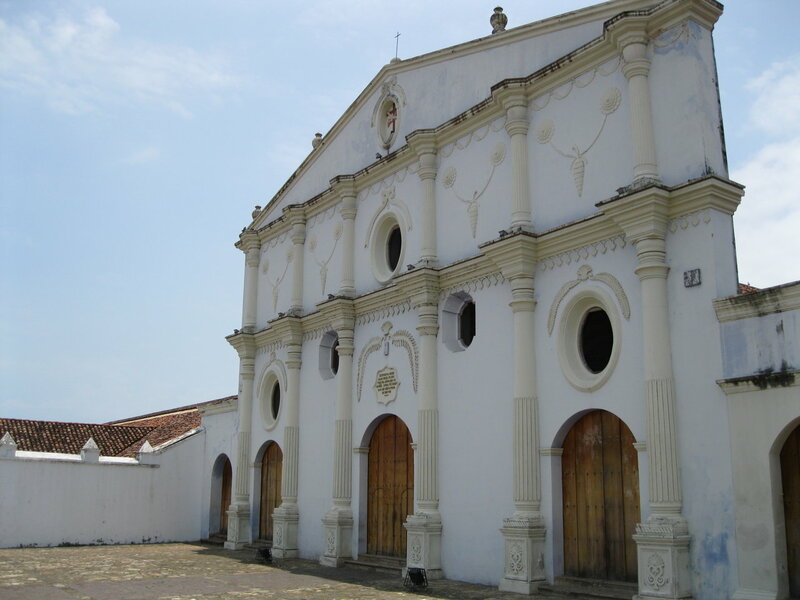 Close-by are the Convent of San Francisco, the old railroad station, the Church of La Merced and the Malecon, or boardwalk on the shores of Lake Nicaragua. If you are not into walking, hire one of the horse drawn carriages that park on Central Park. These are an excellent alternative to walking and will allow you to enjoy the city. Although much more modern, another interesting building to visit is the old railroad station. It is only a a few blocks from downtown. 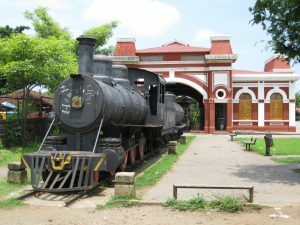 For a period of time in the early XXth Century, the railroad became the back bone of development in Nicaragua. After the Sandinista Revolution, in the 1980s, the National Railroad of Nicaragua stopped operating. It was then sold for its weight in iron and steel. Unfortunately an important part of Nicaragua’s history was lost for good. Sadly, the Granada railroad station, an old steam locomotive and few railroad cars are pretty much all that is left of this era. 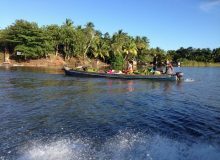 To this day, Granada continues being a gateway to the Caribbean via Lake Nicaragua. The national port authority, has regularly scheduled ferry service departing twice weekly from Granada to the opposite side of the lake. The service, which makes several stops en route includes a stop in the island of Ometepe, and then in San Miguelito and finally San Carlos, the capital of the department of Rio San Juan and main port from where to start your exploration of the magnificent, mighty and historic Rio San Juan. As part of its colonial heritage, Granada boasts several lovely colonial churches, the most impressive of which is of course its cathedral. The Church and Convent of San Francisco underwent a renovation process and now function as a museum. Worth mentioning are the Church and Convent of San Francisco, located 100 meters North of Central Park. Originally built as a convent for the Franciscan friars, the building actually functioned as university in 1867 and 1868. 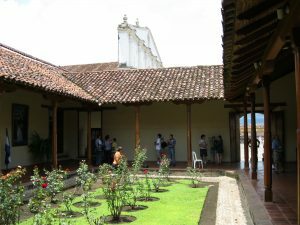 Today the church and part of the convent have been restored and house the historic and Archaeological Museum of Granada. A collection of pre-Columbian statues are on exhibit here, together with historic information of Granada. The Church of Las Mercedes is another lovely, old colonial building in Granada. Located 200 meters West of Central Park. Construction ended in 1783 and the building has a lovely baroque façade. For a fee, you can climb up to the top of the belfry and enjoy one of the most magnificent views of the city, with the lake towards the east and the impressive Mombacho volcano to the Southeast. The church of Jalteva is on the site of an old indigenous town. Today, Jalteva is part of the city of Granada. It is 400 meters West of Central park and was rebuilt several times over the years; its current façade dates back to1895. Also of interest is the park of Jalteva that is adjacent to the church. The Church of Guadalupe, located about 700 meters East of Central Park down the main street or Calzada in the direction of the great Lake Nicaragua or Cocibolca. Because of its strategic location on the entrance to the city from the main port on the lake, it functioned as a fortress and church and has been destroyed and rebuilt many times over the years. The Museum at the San Francisco Convent offers insight to precolombian cultures. The Archaeological Museum at the ex Convent of San Francisco, is open daily for visits. 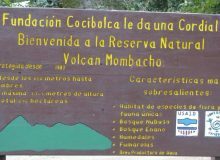 There is a $2.00 US dollar entrance fee for persons (Nicaraguan citizens have a preferential fee and pay less). The operating hours of the museum are the following: Monday through Friday, 8:00 a.m. till 4:00 p.m.; Saturday and Sunday 9:00 a.m. till 4:00 p.m. There is also a small ceramic museum at the entrance to the downtown area in Granada on the Calle Atravezada. The Museum, officially called Mi Museo offers a nice collection of pre Colombian ceramics in a restored old colonial building. This Museum is open daily from 8:00 a.m. till 5:00 p.m. and there is no admission fee. Finally, there is a third “museum”. Located almost next to Mi Museo. This is the Chocolate Museum, or Museo del Chocolate. This in not really a Museum. It is a pleasant coffee shop specializing in chocolate beverages. Various visual displays explain the origins of cacao and the process to turn it into chocolate. They have chocolate and coffee products for sale here. It is an interesting stop to learn about the historic importance of cacao in pre-Columbian times. Cacao is native to Nicaragua and Central America. Nicaragua has several small private enterprises that produce quality organic chocolate. This could be a good gift to take back home for your loved ones! 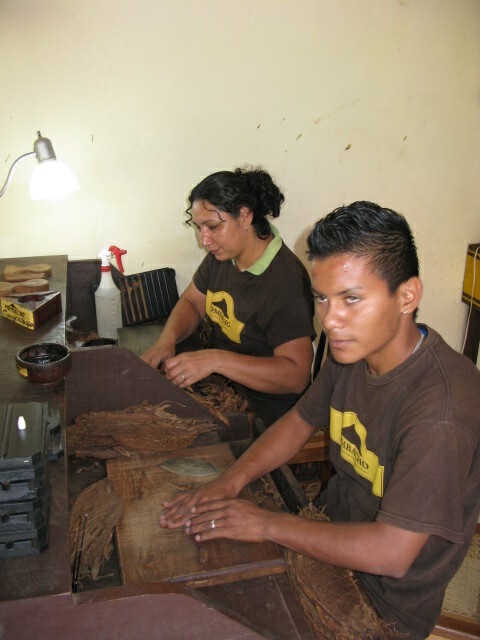 Another learning experience to enjoy is a visit to the Mombacho Cigar factory. It is right on La Calzada Boulevard. Nicaragua produces some of the finest cigars in the world, with quality that easily competes with the famed Cuban cigars. Mombacho Cigars have excellent reviews by the cigar aficionados over the years. Although mostly sold abroad, the only outlet they have in Nicaragua is right here, in Granada. The tobacco farms, ovens and factories are all nearby Granada! The facility is open Monday through Friday from 9:00 a.m. till 7:30 p.m. Here you can learn about the process of producing a high quality cigar. Starting with the planting and growing of the tobacco bush. Then picking of the leaves and the process of drying the leaf to perfection. Then you can how to roll a cigar, and the process to age it to achieve perfection. Tours of the facility are available. Last, but not least, Intur, the Nicaraguan Institute of Tourism has an information office in Granada. You will find it corner opposite of San Francisco Church. Here, you can get good information regarding Granada. 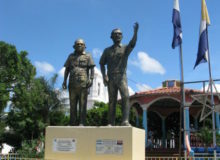 They will assist you with tourist information for all of Nicaragua.